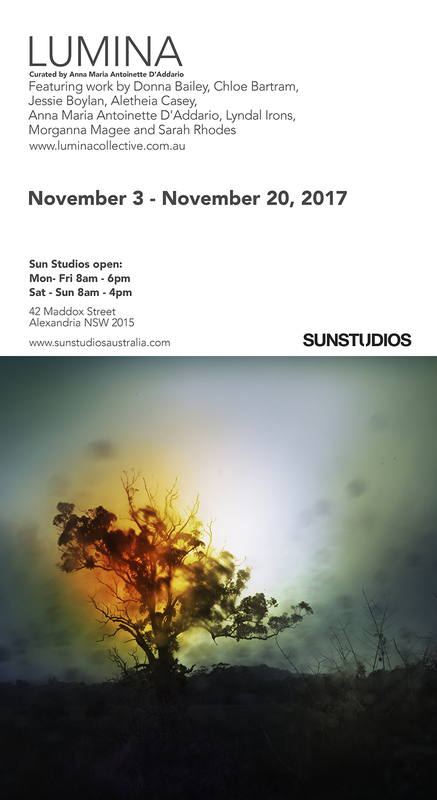 Lumina Collective is currently showing a freshly curated version of our launch exhibition, including a selection of unseen works, at SUNSTUDIOS in Alexandria, Sydney from November 3 to November, 20, 2017 . I am currently exhibiting work as part of a group show at Contact Sheet Gallery in Sydney. ‘Who is He?’ explores our perceptions of masculinity through the different visions of 21 emerging and established artists. 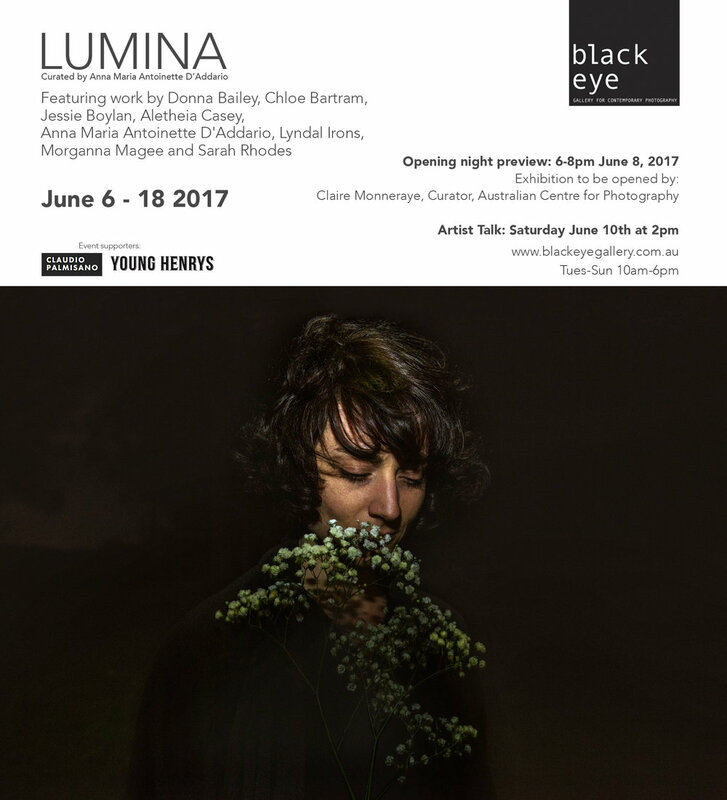 Launching officially June 8, 2017 we are excited to announce our debut, self-titled exhibition opening the same day 6-8pm at Black Eye Gallery, Darlinghurst in Sydney. 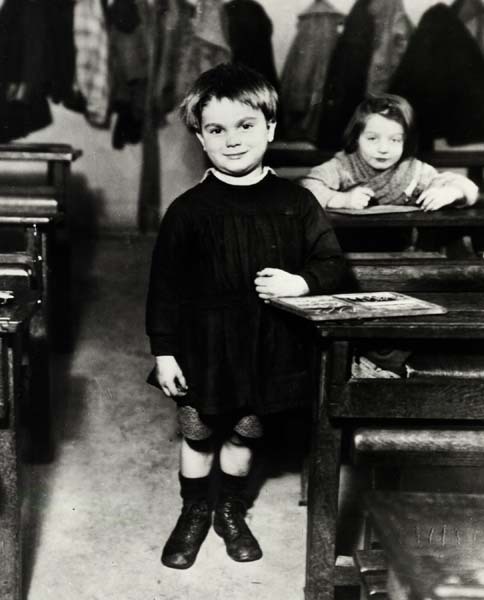 Andre' Kerte'sz was a hungarian born photographer active from the late 1800's until the mid eighties. The major percentage of his work and creative career was pursued in the United States and for a smaller period in Paris, France. Ke'rte'sz captured with his camera minutes aspects of the world, from the banal to the highly intriguing, highlighting and showing that every detail of daily life could be photographed with an artistic eye... setting things apart, rendering them elegant... noteworthy... memorable. Introversive by character Kerte'sz sought out the precious stillness of an instant in everyday life dedicating himself to that flux rather than seeking to document great events or movements. In doing this he enriched previously formed conceptions of street photography and with the strong use of portraiture in his work he extended Reportage to link with the portrait. By 1925 when Kerte'sz was 31 he transferred to Paris where other important characters in the avant- guard were gathered; such as Many Ray and Robert Capa. "No rearranging, no posing, no gimmicks, nor fakery. Your technique is as honest, as incorruptible, as your vision. In our home for the blind, Kertész is 'Brother Seeing-Eye. " 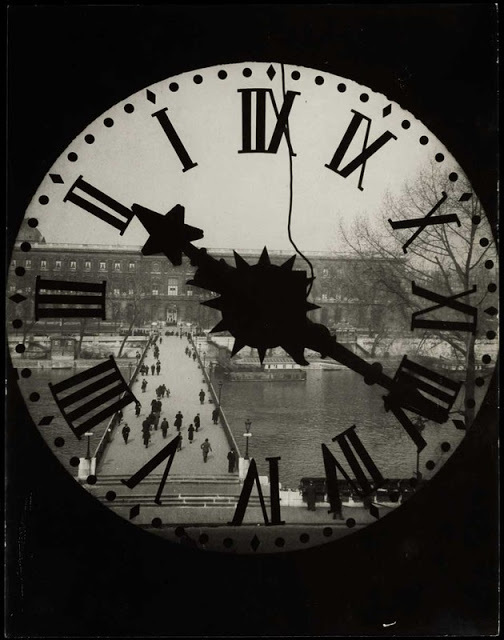 In 1928 Kerte'sz obtained his first Leica and started to work together with Henri- Cartier Bresson for the magazine VU. with the likes of Euge'ne Atget, Man Ray, Nadar and Berenice Abbot amongst others. Seven years later in 1936 he moved to New York, originally only intending to stay for a year he remained there until his death on September 28, 1985. Andre' Kerte'sz is survived by more than 100,000 negatives and the recognition of being one of the founding figures in the history of photography and photojournalism. Francesca Woodman is renowned for her surrealist black and white photography of which for the major part, she herself is the protagonist and subject of the work. Irrefutably one of the finest female photographers of the century, Woodman's work gained international recognition in the years after her death. In January 1981 Francesca Woodman at the age of 22 committed suicide by throwing herself out of the window of a New York city loft to the street below. She has been perceived as a tragic figure and a large portion of her work does explore death and her relationship to it, yet simultaneously in doing this Woodman also explored her relationship to life; its spaces and realities. Perhaps it is difficult to detach oneself from the history of her suicide when examining her work, yet considering it subjectively, one could determine that Woodman's work and death are simply examples of a highly sensitive, creative and brilliant mind rebelling against effects of the harsh objective realties of life. Her work explores this concept in depth, rebelling in and exploring her physical relation to objects and spaces, to her creative relation and connection with her mind and the physical restraints of her body. Born to two well known American artists, George and Betty Woodman, Francesca grew up partially in Boulder Colorado, and for a term in Italy, passing summers in the Florentine countryside. She studied in Rome from 1977- 1978, where she made acquaintances with a number of intellectuals and artists from the Roman school. Woodman's work consists of around 10,000 negatives and around 800 prints, with only about 120 of these circulated and exhibited. She completed a number of books yet only one was published, shortly before her death, this was 'Some Disordered Interior Geometrics'. Other titles include 'Portrait of a Reputation', 'Quaderno dei Dettati e dei Temi (Notebook of Dictations and Compositions)' and 'Angels, Calender Notebook'. "The sea has never been friendly to man... At most it has been the accomplice of human restlessness." WPGA runs the competition annually to build a showcase of creative and photographic trends worldwide. The Images will be published in a book later this year. "It happened on a Sunday when my mother was escorting my twin brother and me down the steps of the tenement where we lived. We were going to church. While walking down the hallway to the entrance of the building, we heard an incredible crash mixed with screaming and cries for help. The accident involved three cars, all with families in them. Somehow, in the confusion, I was no longer holding my mother's hand. At the place where I stood at the curb, I could see something rolling from one of the overturned cars. It stopped at the curb where I stood. It was the head of a little girl. I bent down to touch the face, to speak to it -- but before I could touch it someone carried me away". his photographs reveal in their element of the grotesque portraits of the human condition which he dares to portray in diverse visions that breach the lines of our conceptions of decency and normality. His subjects are the outcasts of human society and his use of corpses in his photographic compositions have led to controversy. He often references the fine arts in his works; amongst artists such as Picasso, Miro', de Chirico , Bosch, Goya and Botticelli... notable influences have been references to early daguerreotypes and the work of photographer E.J. Bellocq. In 1961- 1964 he worked as a war photographer in the Vietnam War; after '74 he gained a master in Fine Arts at the University of Albuquerque, New Mexico where he currently resides. HIs images are strong and at times may be hard to digest; yet his photographic genius stands out amongst the carnage and this same feeling of repulsion and attraction his photographs ignite in the viewer mirror the sensations evoked in confrontation with the darker aspects of human character.